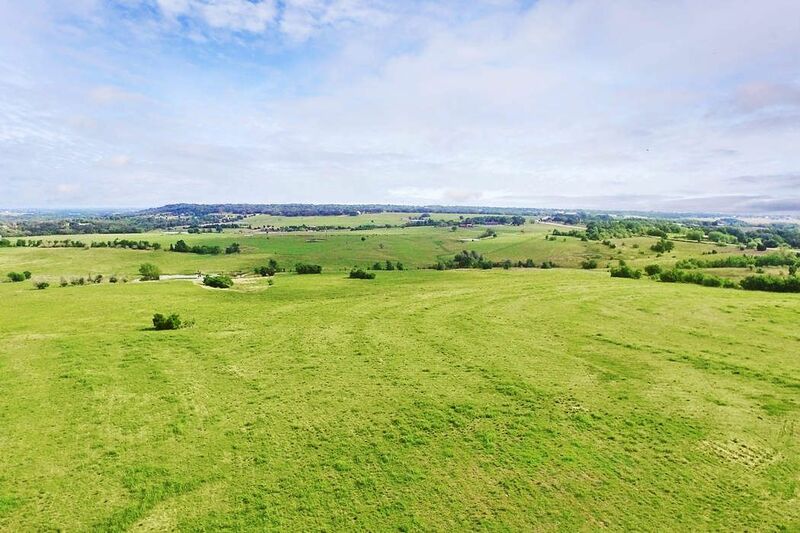 716 Fm 2436, La Grange, TX 78945 | Martha Turner Sotheby's International Realty, Inc. 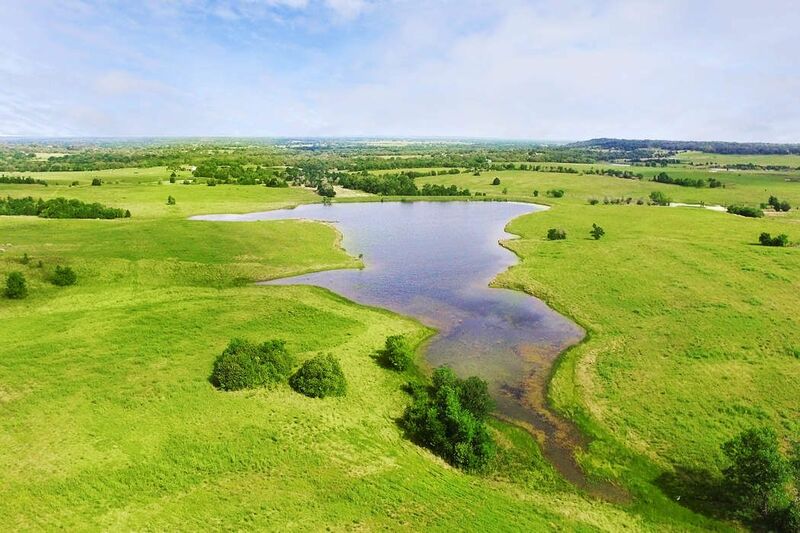 Stunning 249 acres with 9+ acre lake and 3 additional ponds. 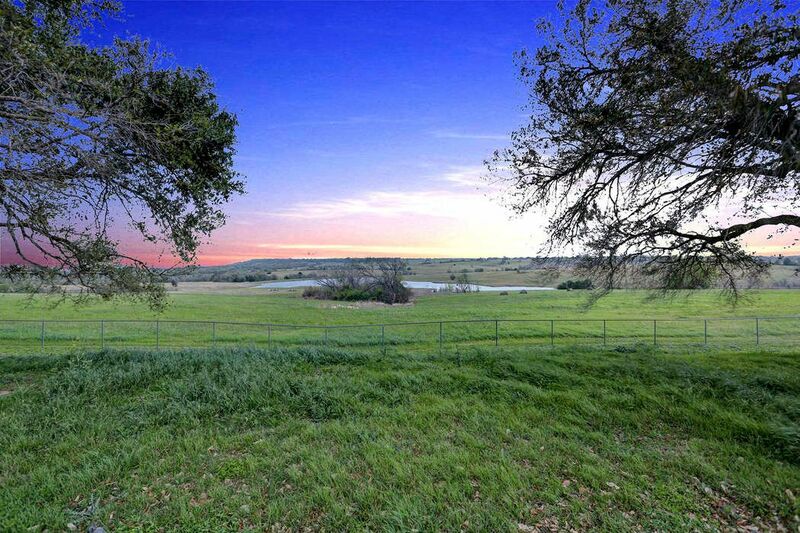 Extraordinary vistas with numerous hilltop home sites. 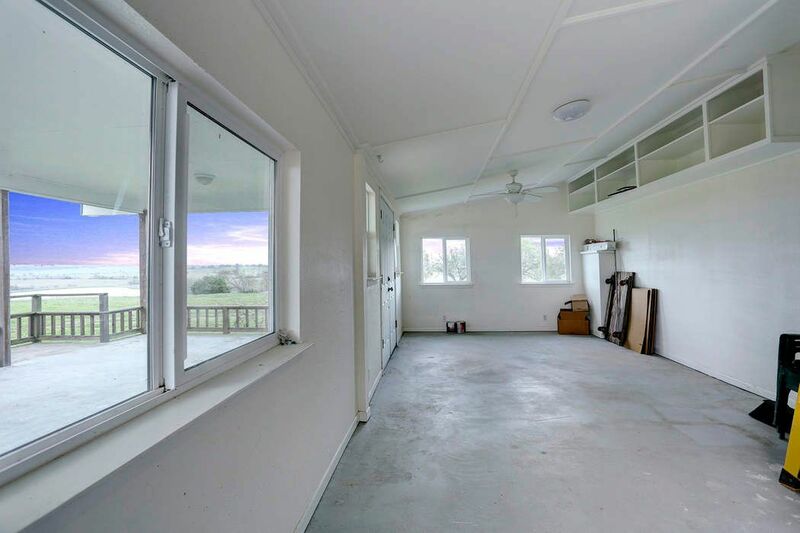 Spacious barn with extra room/bath that could be converted to living quarter/office. Hang your hat while planning your dream country house or business.Tack room and Kennels could easily be converted to other use. 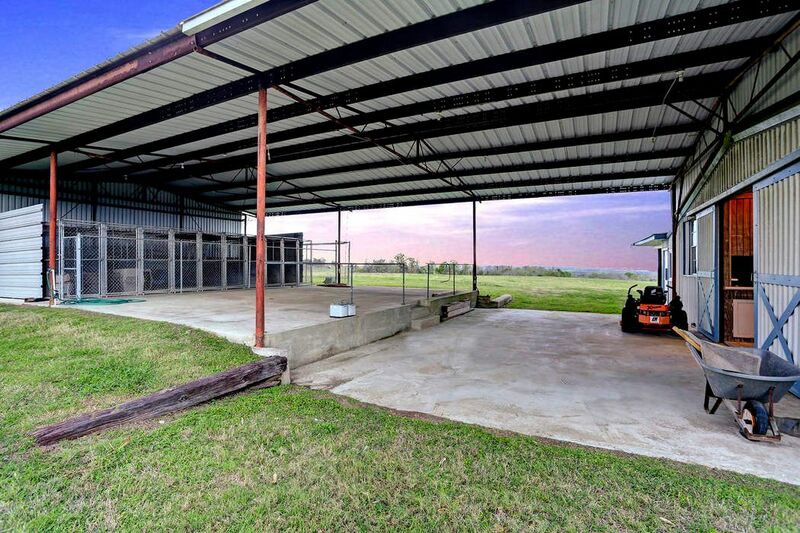 Additional kennels close to barn. Could be easily converted to other use or perfect for the dog breeder/lovers. Sunset vista from original home site on top of hill. Surrounded by live oaks. 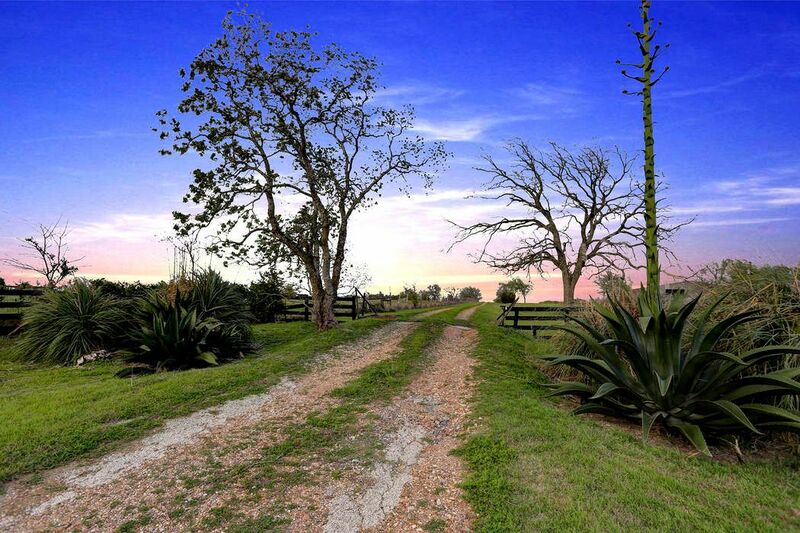 The original home site surrounded by live oaks. Electric and County water are already connected. Open covered area connected to barn. Gorgeous view from the porch off of the room/office of barn overlooking lake. Extra room can be converted to office or living space. Bathroom not shown. 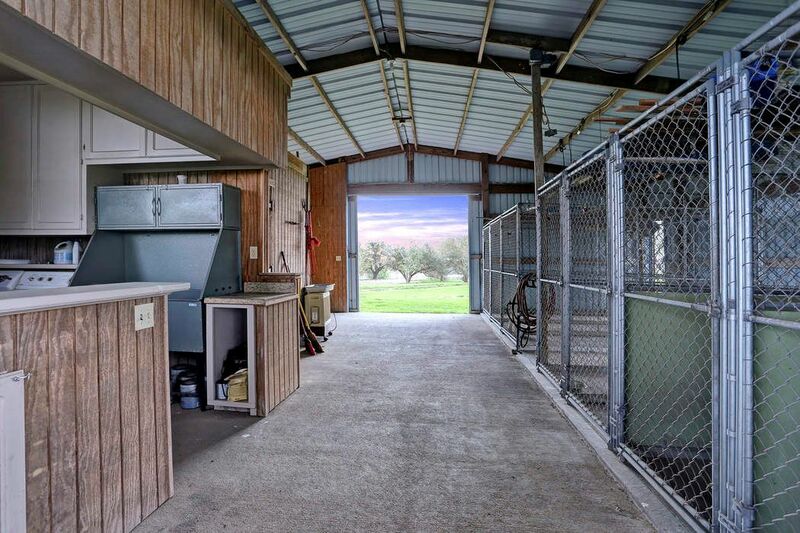 Inside barn with washer/dryer, ample counter and cabinets. 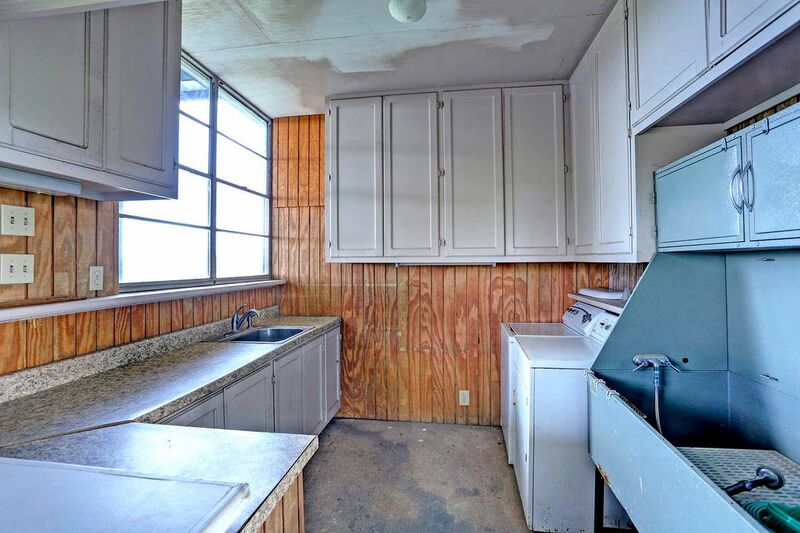 Large sink to right. Barn with concrete floors. Kennel space on right and utility room, tack room on the left. Extra room and bathroom attached to barn. 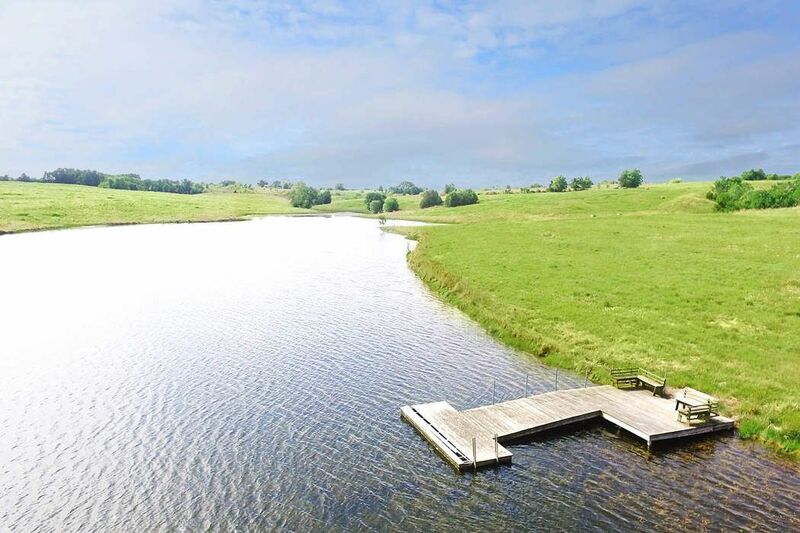 9+ acre lake with pier is stocked with fish. Training pond in background. Sellers have been told that lake is spring fed. Lake has never gone dry including during big drought a few years ago,. 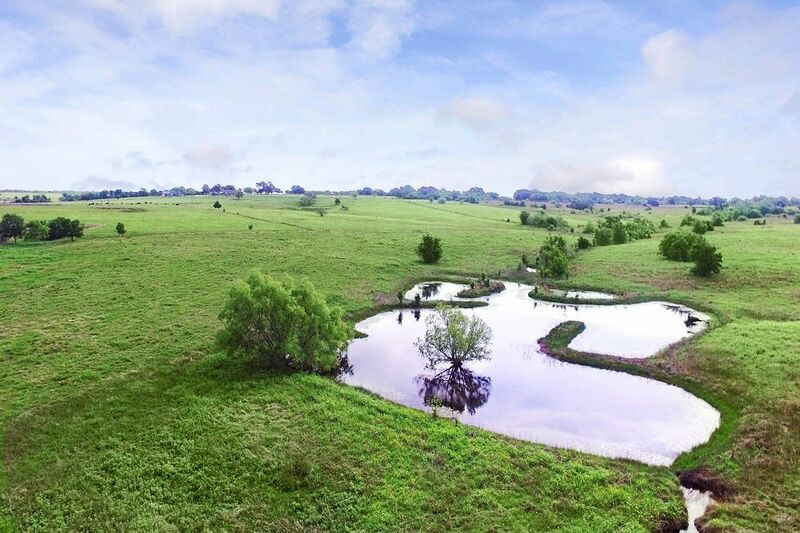 View of training pond that was specifically designed to train hunting dogs by the former owners. 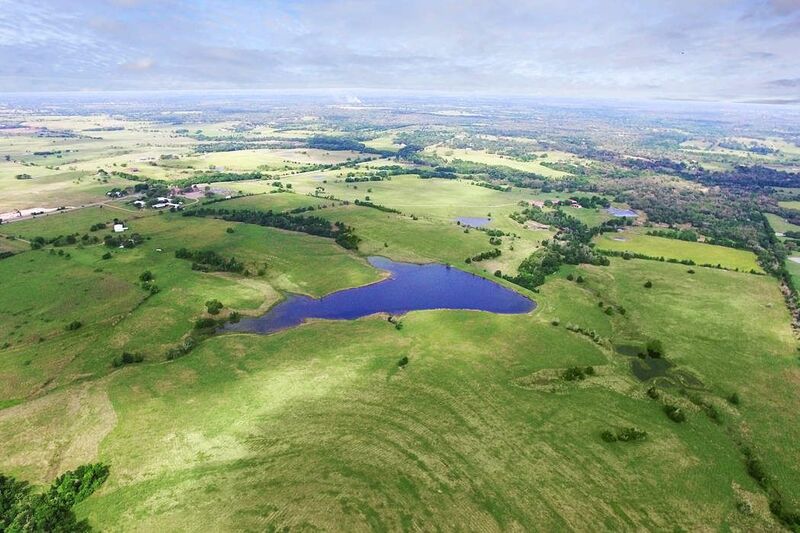 Aerial view of lake and pastures. White barn and old home site to the left of the lake. Hills on all sides of property leading down to lake. 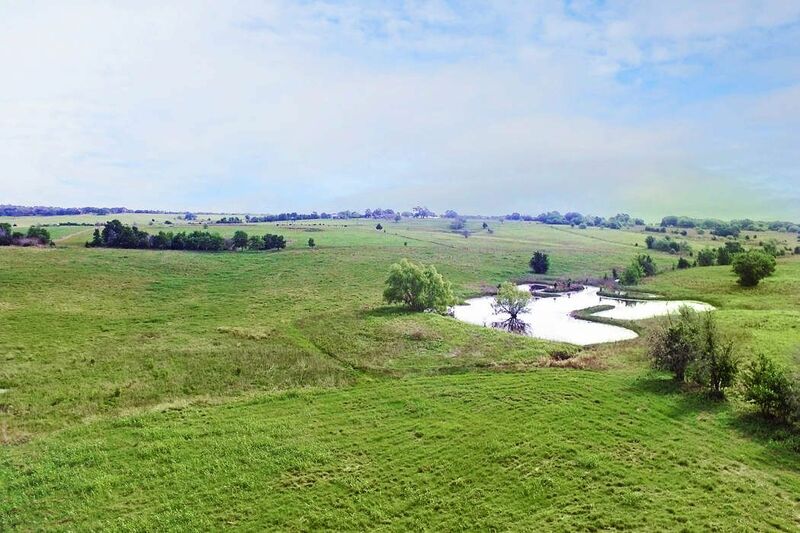 View from the north side of the property of training pond, lake, pastures, grove of trees and barn up on the distant hill. 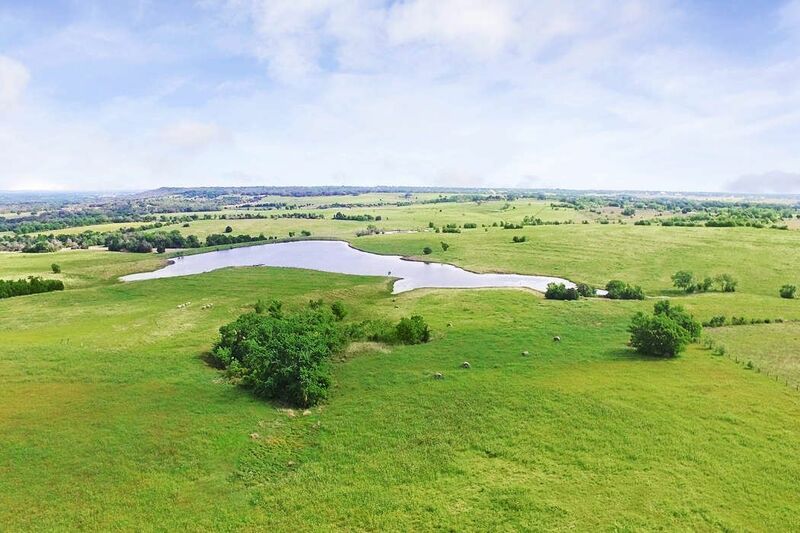 View from the east side of property of lake, pastures, grove of trees and barn on the hill. 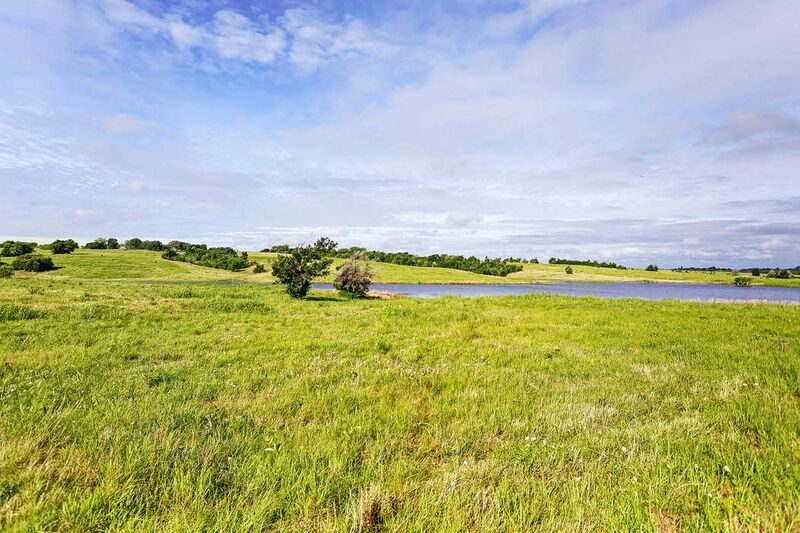 View from the north side of property of green pastures, trees, lake and white barn on distant hill. Dam with spillway on the right side of the lake. View from south side of property where barn and old home site are located on top of a hill. 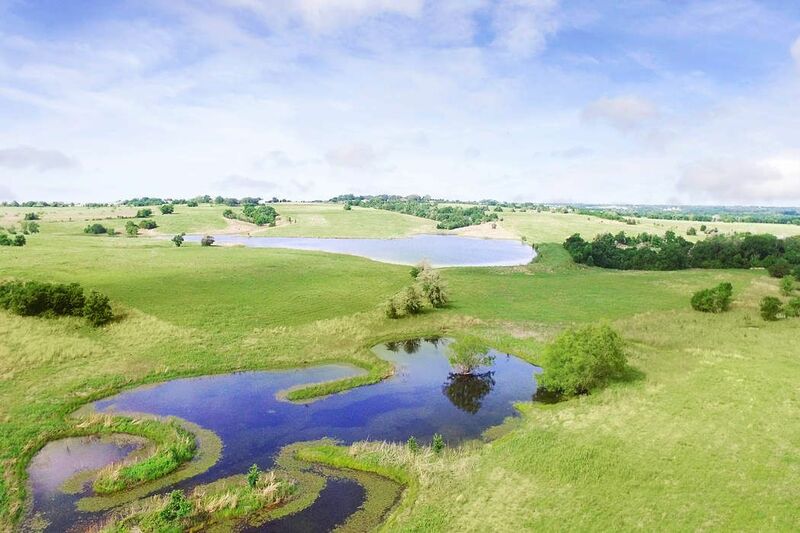 Lake and training pond in the distance. 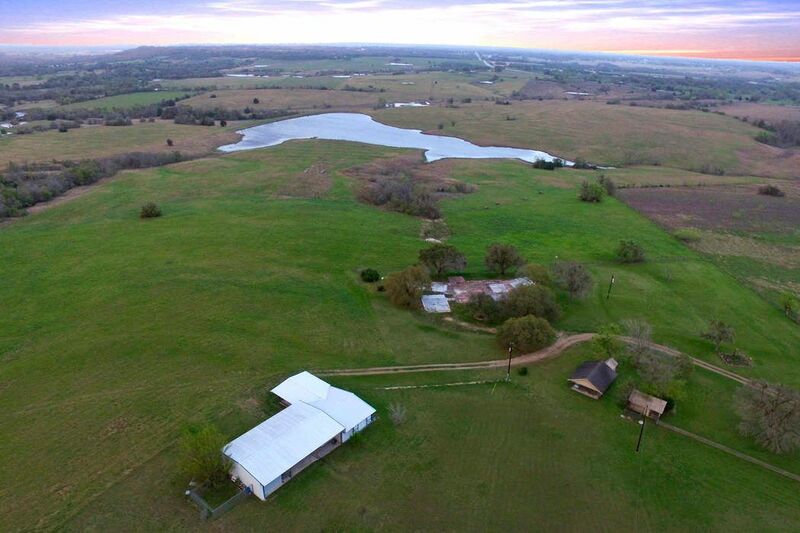 Aerial view of barn, additional dog kennels, old home site surrounded by live oaks and FM 2436 road frontage. 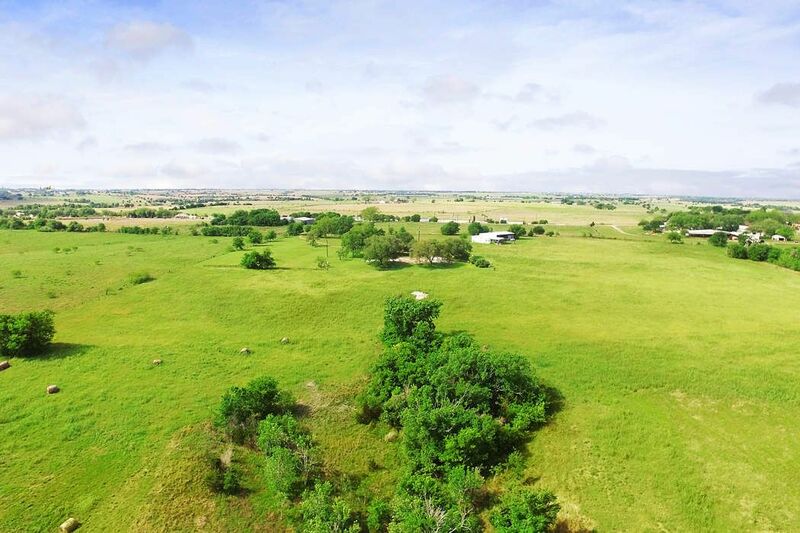 Aerial view of old homesite and barn looking up the hill on south side of property. View from lake facing south towards barn and old home site. Sloping pastures with improved grasses lead down to the lake. 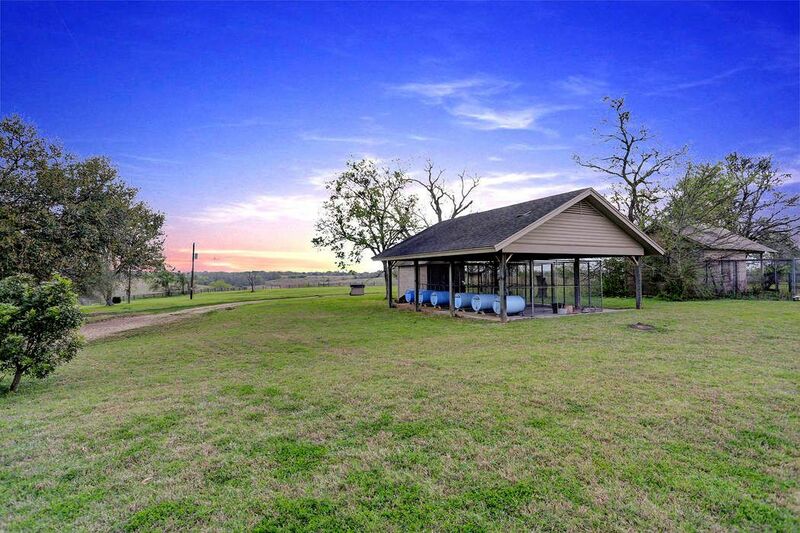 Large dock with bench seating for great fishing or enjoying the sunset on the lake. 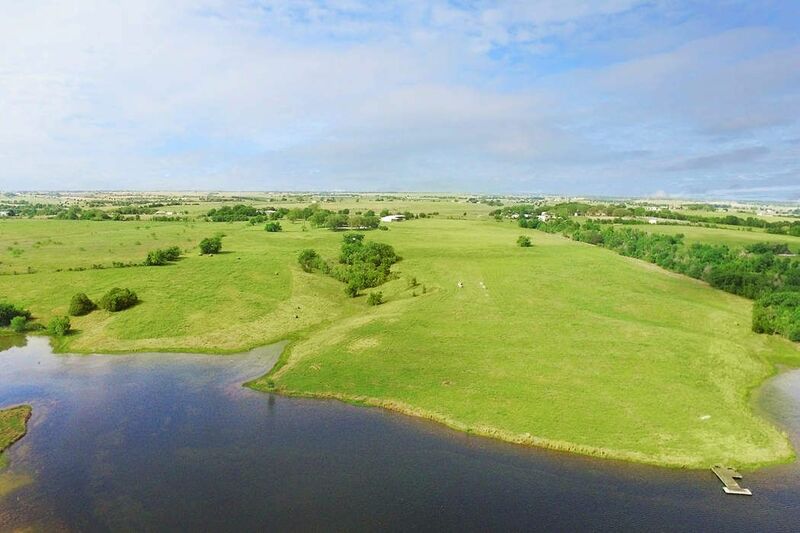 Pasture on east side of property with distant view of training pond. View of lake from hilltop on south side of property. All 249+ acres are under ag exemption. Full view of lake with dam and spillway on back side. 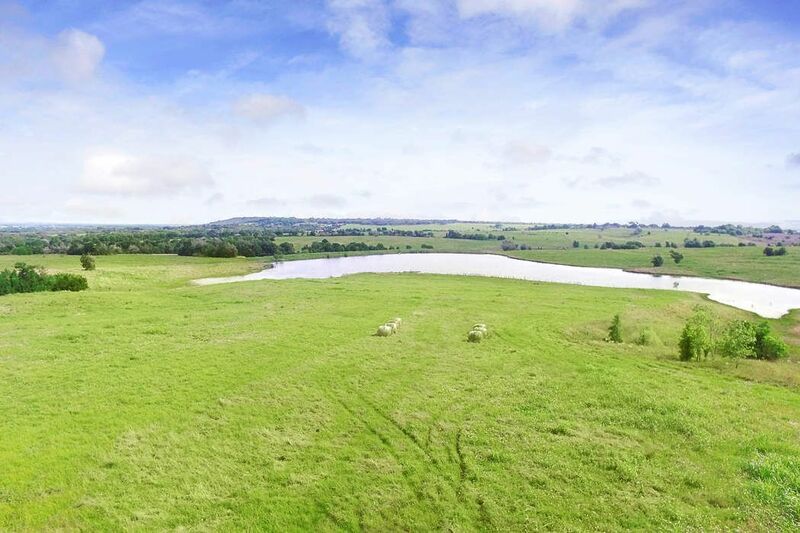 Training pond on right hand side in distance. 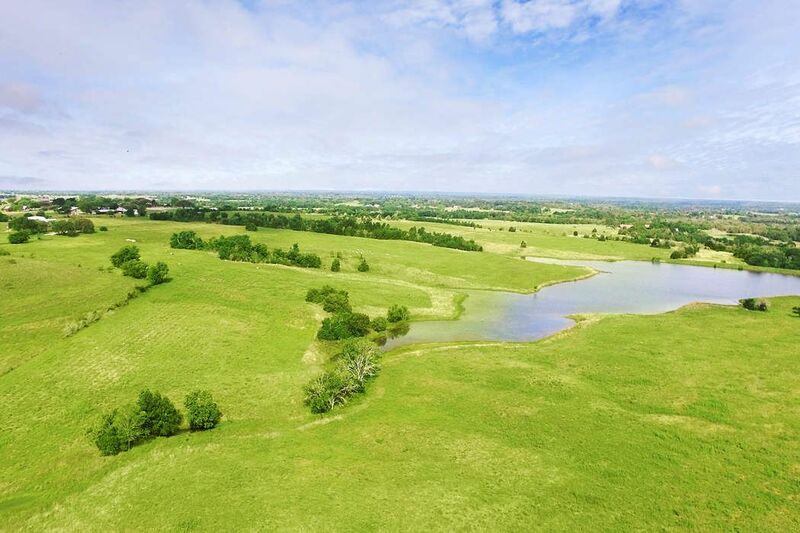 Aerial view from east side of property of grove of trees, pastures, lake and training pond. View from lake looking up the hill toward the south side of property. 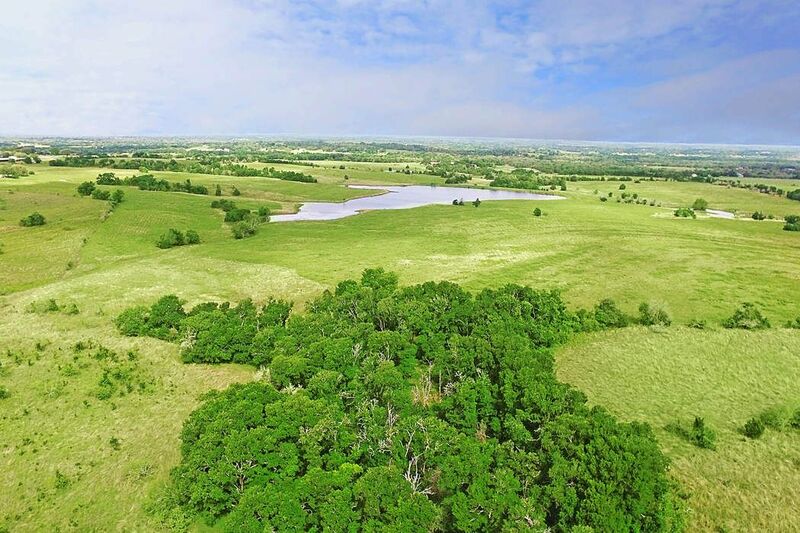 Large pastures on either side of grove of trees. 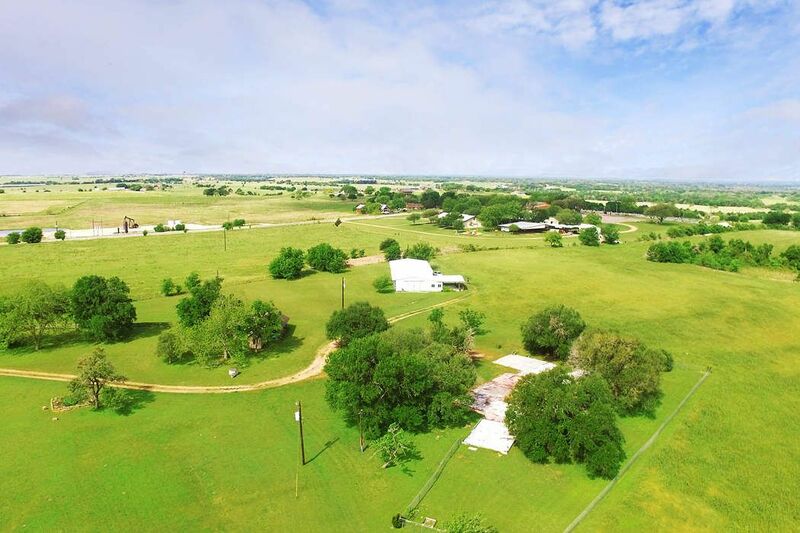 Many beautiful home sites on this acreage. View from top of the dam looking down on pasture and trees on north side of the property. 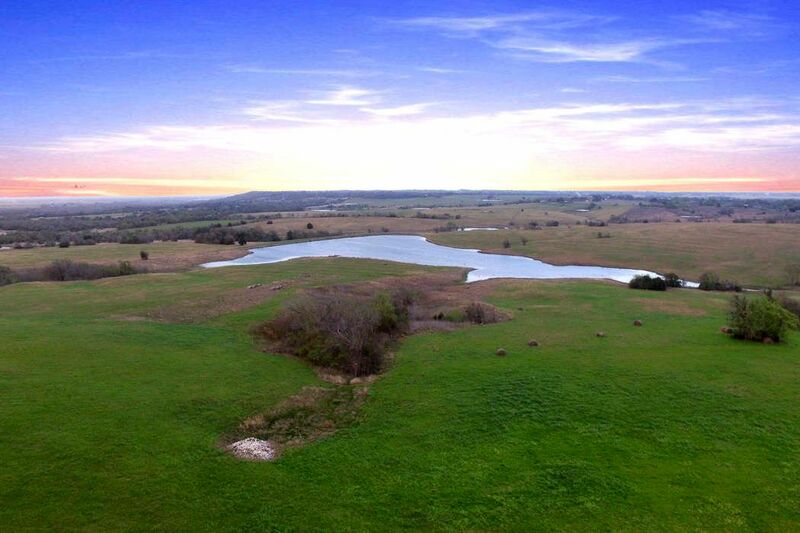 Sunset view of lake and training pond in the distance. 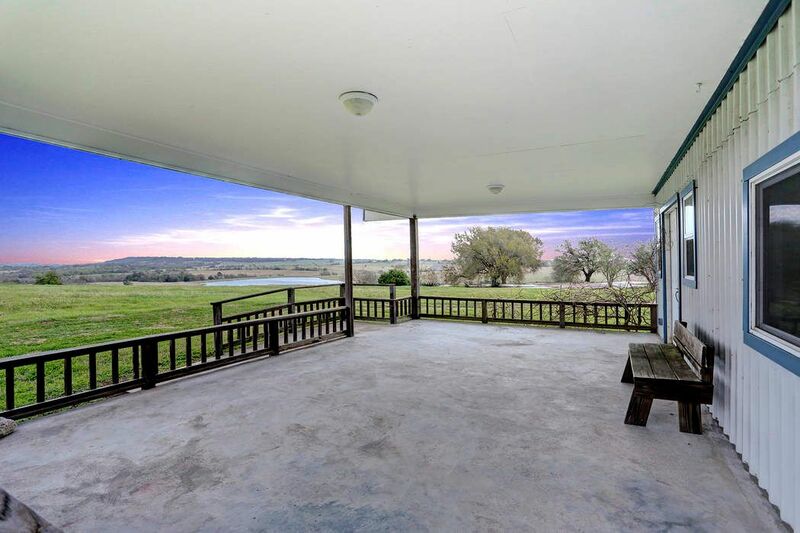 Scenic hilltop views throughout this extraordinary approx. 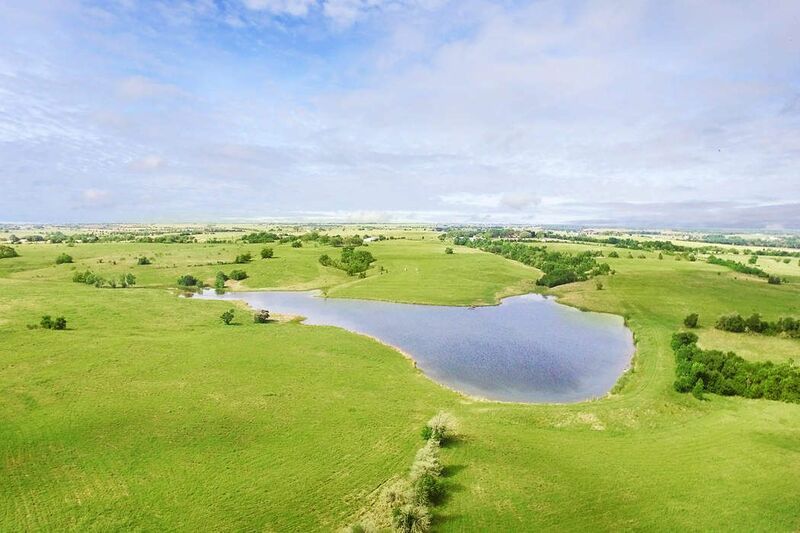 249 acre property. 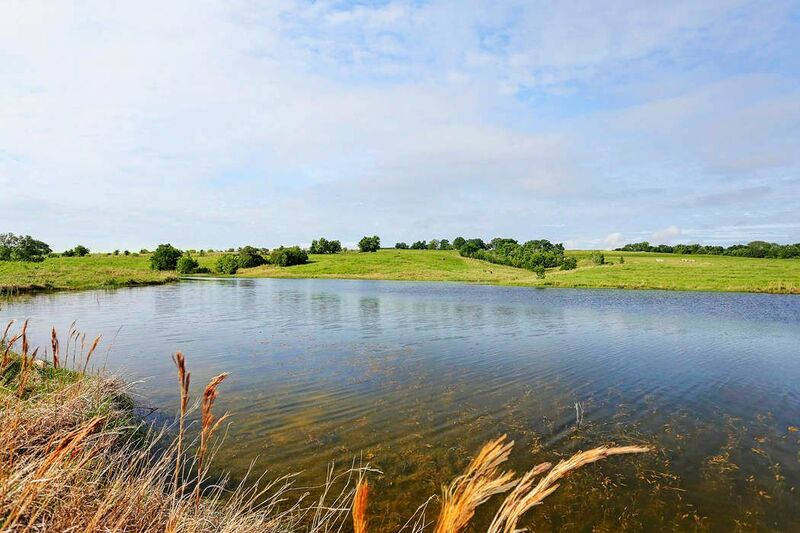 The 9+ acres (approx) lake is a central focal point on the property. 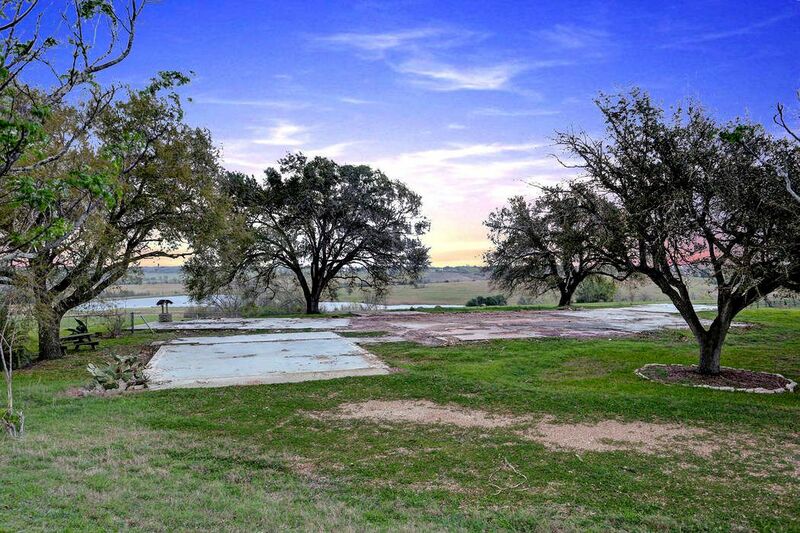 Many homesite options for building a single home or family compound. 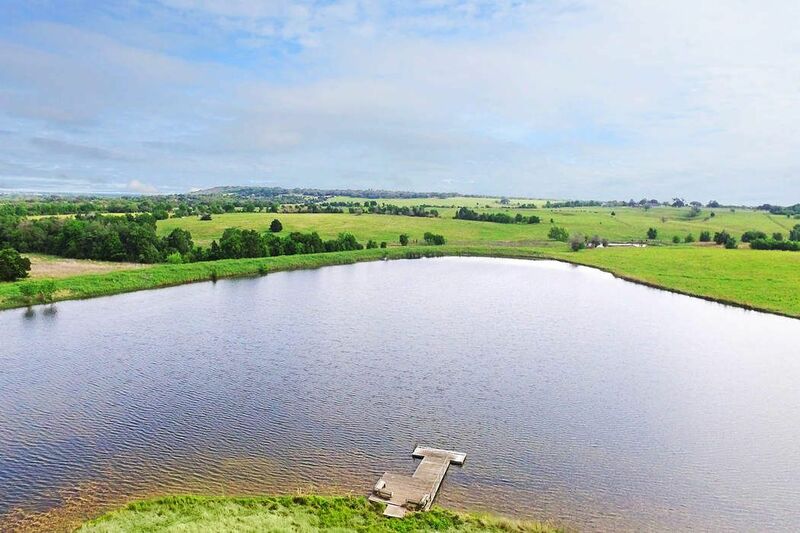 Three additional ponds, including a training pond for the hunting dog enthusiast. 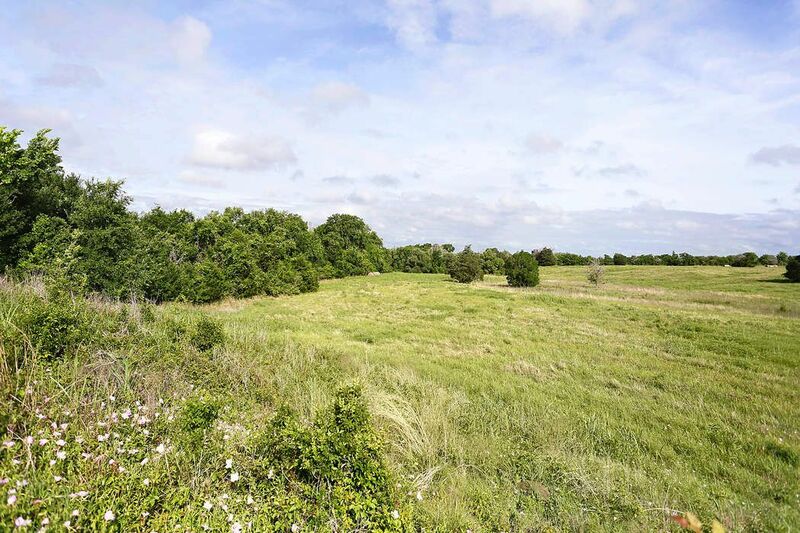 Improved pastures and wooded areas with live oaks along the ravines. Many elevation changes through the property. Abundant wildlife. 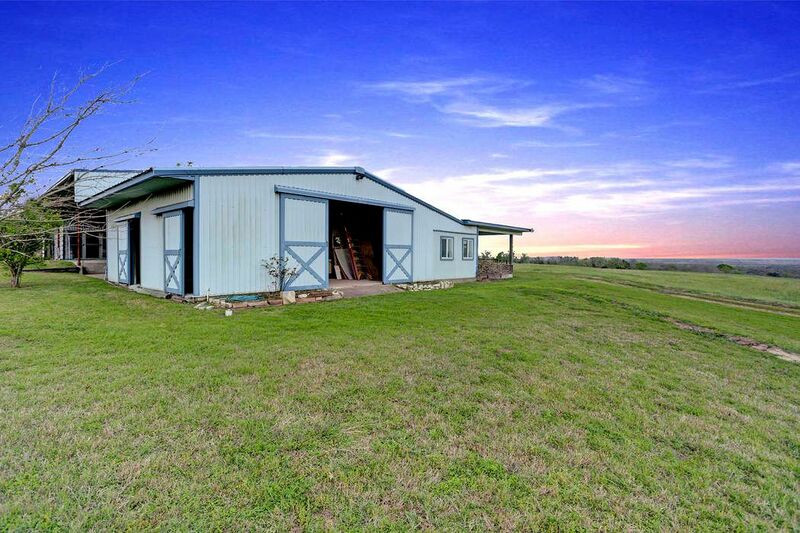 Large barn with tack room, quarters and kennels. Minerals negotiable.